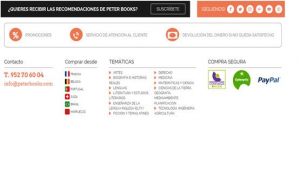 [:en]CDI Systems and Innovación y Cualificación announced the release of Peterbooks.com. [:] – CDI Systems Ltd.
CDI Systems and Innovación y Cualificación announced the release of www.peterbooks.com – a state of the art website for the distribution and sales of digital, printed, and POD (Print on Demand) books. PeterBooks was born with the mission of contributing to the promotion of reading, imagination and knowledge, and right now offers more than 180,000 titles in 6 languages. Titles are coming from multiple countries, many of them are unpublished, or difficult to find. Thanks to an agreement with a huge B2B aggregator, Peterbooks will offer 1,000,000 titles by the end of 2018 and 2,000,000 by the end of 2019 in 120 languages, meeting the demands of hundreds of publishers and millions of users worldwide. Peterbooks’ reader for electronic books has potent security capabilities. Using a proprietary protection technology, it allows users a friendly & non-intrusive access to the eBooks without fear of it being redistributed without permission. 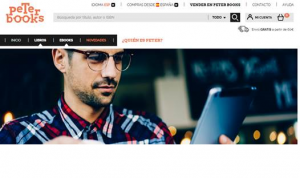 Both companies CEO shared the same vision: ”we are confident that the combination of CDI Systems’ innovative technology with Innovación y Cualificación rich experience in POD and marketing capabilities, will pave the way to transform www.peterbooks.com into a prominent player in the books/eBooks marketplace”.